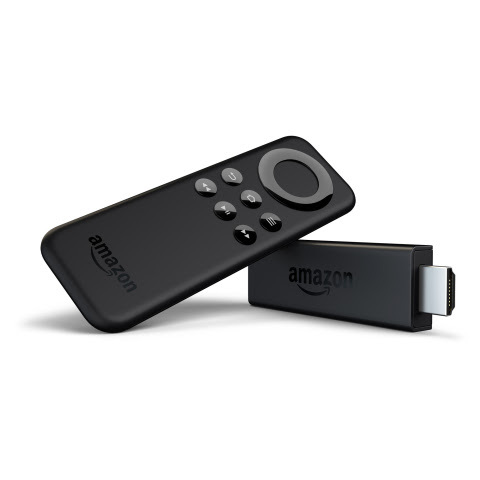 Amazon is sending out an update to the Android-powered Fire TV and Fire TV Stick that makes a few tweaks to the experience, the most significant of which is support for X-Ray. This feature has been on the Fire tablets for some time, but now it's on a streaming box for the first time. 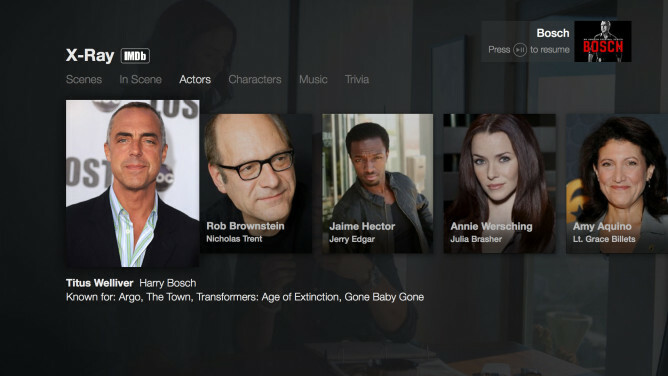 In case you haven't been keeping up with Amazon's feature vernacular, X-Ray is a way to discover information about actors and characters while you're watching video. The update doesn't do much beyond the X-Ray support, but here's the changelog. It's identical between the Fire TV and Fire TV Stick. X-Ray Quick View and Full Screen - Discover and learn more about actors and characters in a scene while watching video on your Amazon Fire TV device. X-Ray will also identify music in the scene as it plays. In X-Ray compatible videos, press Up on your Amazon Fire TV remote. Tag your Favorite Cloud Drive Photos or Videos - To add to your Favorites, select Add to Favorites below an individual photo or video. You can also filter by Favorites in an album. You can access X-Ray in two ways on Fire TV—full screen and quick view. To peek at X-Ray information about the actors in a video, you can pause or press up on the remote. To move to full screen mode, press up again.